The Short Version: Some travel destinations are known for the outdoors, food, and drink scene. Others are known for their arts and culture. But few cities offer travelers a taste of all of the above. 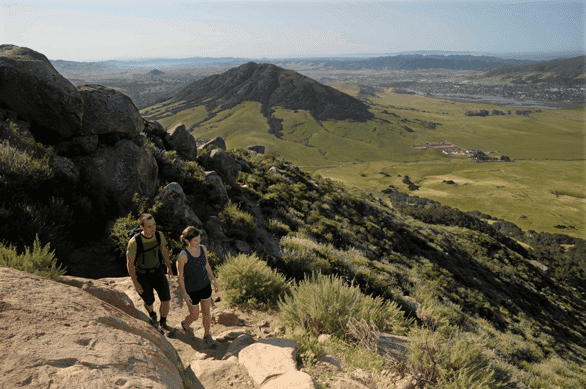 San Luis Obispo, California, is one of those rare places that has a little bit of everything, making it a preferred destination for couples who enjoy a variety of activities. There’s plenty of delicious food and libations, with a legendary farmers market, many local breweries, and a wine region only 15 minutes from downtown. SLO also has numerous attractions for lovers of art and culture, plus a Spanish mission for history buffs. For outdoorsy couples, there are miles of hiking and biking trails, and the city is only 10 miles from the coast. 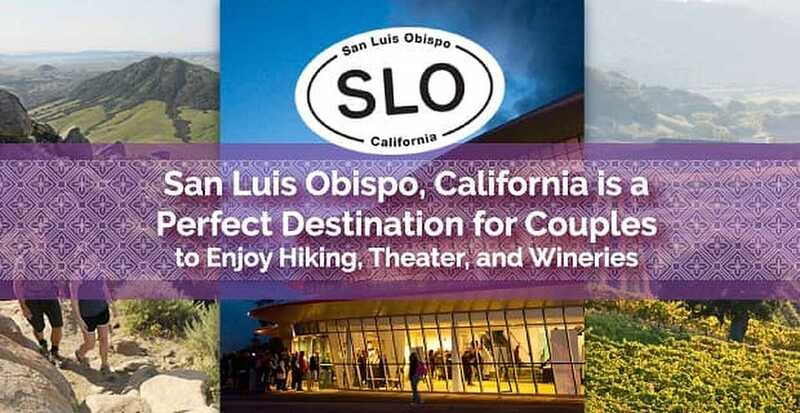 Not to mention San Luis Obispo’s unique hotels are a perfect home base for your romantic escape. When planning a couples getaway, you want to pick a place where you can share your interests with each other. One of you may be set on a destination with breweries, while the other is drawn to a city with an active arts and culture scene. Or perhaps one of you really wants to go hiking, while the other is more interested in visiting wineries. Few destinations have it all, but San Luis Obispo, California, caters to travelers who want all of these experiences — and many more. That makes it an ideal spot for couples with differing or wide-ranging interests. Both of you can get what you want out of one vacation — no compromises necessary. SLO is a vibrant college town in California’s Central Coast known for its sunny weather, foodie culture, walkable downtown area, and nearby wine region. It’s nestled among mountains and is near the ocean, offering the best of both worlds for those who want to explore the outdoors while enjoying the comforts of a city. Whether you have a day or a week, a trip to San Luis Obispo can pique the interests of both you and your loved one. If you love beer, wine, and local food — or all of the above — San Luis Obispo has a vibrant food and drink scene to satisfy anyone’s taste. The city is home to many local breweries, with some conveniently located right downtown. If you want to try a variety of local beers without the pressure of driving, take a walking tour of the downtown breweries, including Central Coast Brewing, Libertine Brewing Company, SLO Brew, and BarrelHouse Speakeasy and Barber Shop. 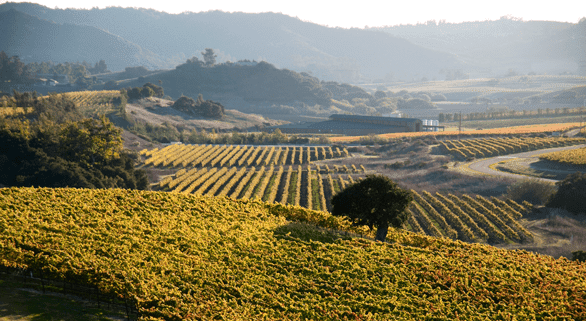 San Luis Obispo is also just a quick 15 minutes from the Edna Valley wine region, where you can easily spend a day or more exploring California vineyards, tasting chardonnay and pinot noir. Some of the most popular wineries in the area include Chamisal Vineyards, Biddle Ranch Vineyard, Claiborne & Churchill Vintners, and Tolosa Winery. After you’ve built up an appetite, get a taste of Central Coast food with a visit to the legendary Downtown SLO Farmers Market, which has been serving the city for 35 years. The market is open every Thursday evening from 6 p.m. to 9 p.m. and features live music, fresh produce, local products, and food vendors serving up meals. Make an evening of exploring the market and grab dinner at one of the booths. In addition to breweries, wineries, and popular a farmers market, SLO has countless restaurants perfect for a date night — not to mention numerous bars to extend your evening. Some of the best spots for a romantic dinner, featuring local California fare, include Koberl at Blue, Luna Red, and Novo Restaurant & Lounge. After dinner, get a creative cocktail with local ingredients at Sidecar Cocktail Co.
Arts, culture, entertainment, and history converge in San Luis Obispo, offering many date night options. The city’s Performing Arts Center has exciting events year-round, including shows from its resident symphony, plus comedy, dance, plays, lectures, and more. 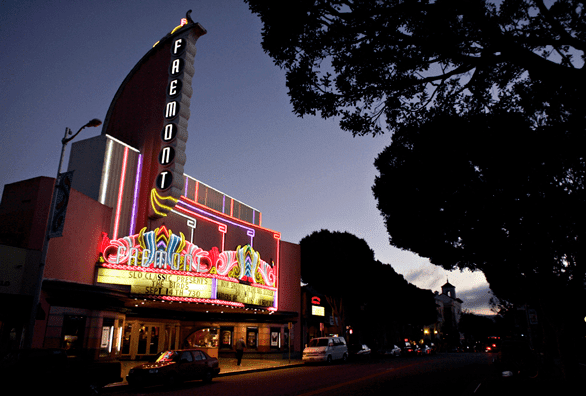 The Fremont Theater is another hot spot for concerts and comedy on the weekends, with a mix of local acts and national performers. There’s also the San Luis Obispo Rep, a small, local theater that produces plays throughout the year. Interested in creating some art of your own? Take your date to a class at Art Bar downtown, where professional painters guide you through the process of creating a masterpiece while you sip on a complimentary cocktail. The town is dotted with art galleries that you can enjoy as you stroll and shop. If you or your date consider yourself more of a history buff, make sure to visit the historic Mission San Luis Obispo de Tolosa, which was built in 1772 and sits in the heart of downtown. Countless outdoor activities are at your fingertips when you visit SLO, which encompasses coastline to inland canyon to mountains in minutes. The city has 55 miles of hiking trails, most of which are accessible within a five-minute drive. The 1,290-foot Cerro San Luis Obispo is a favorite hike destination, and its summit provides an incredible view of the city. The nearby 800-acre Reservoir Canyon Natural Reserve is full of treasures, like a picturesque waterfall and gorgeous views of both the city and the ocean. If hiking isn’t your thing, the area is also perfect for mountain biking, rock climbing, zip lining, and many other adventurous outdoor activities. If you’re interested in watersports, San Luis Obispo is a short trip to the ocean, providing access to surfing, boating, or kayaking. Take a short drive to Shell Beach for a relaxing morning by the water, or take a drive together along the miles of nearby coastline for breathtaking views and stop along the way for a picnic. San Luis Obispo has many local accommodations with character and charm. One is the Apple Farm Inn, a boutique hotel where each room is unique and includes a romantic fireplace. Guests can use the heated pool and hot tub year-round. Another popular place to stay is the SLO Brew Lofts, which are five modern loft suites above the SLO Brew brewery and pub. Located in downtown San Luis Obispo, these chic lofts are spacious and offer great views of downtown. You can’t beat being walking distance to numerous restaurants, shops, and bars. Yet another trendy and well-situated place to stay is The Butler Hotel, an industrial chic hotel with sophisticated style just off Highway 101. The Historic Mission San Luis Obispo de Tolosa is a 15-minute walk away. You may also want to consider The Granada Hotel, originally built in 1922, for its short walking distance to the Fremont Theater. The Granada Hotel Bistro, which is influenced by French bistros, is a perfect spot for a dinner date, and its other restaurant, Nourish, is a healthy spot for breakfast or lunch — so you don’t even have to leave the premises for delicious eats. But, regardless of your interests or appetites, you’re sure to find the activities and cuisine that match your travel style in San Luis Obispo. Its versatility makes it a prime candidate for a romantic escape for two. Emily Starbuck Gerson is a contributor at DatingAdvice.com. She has over a decade of professional writing experience, and she's covered a wide variety of lifestyle topics over the years. Naturally curious and inquisitive, and a storyteller at heart, Emily loves interviewing and writing about people who are making a difference in the world. Emily brings her passion for writing and storytelling to DatingAdvice.com.